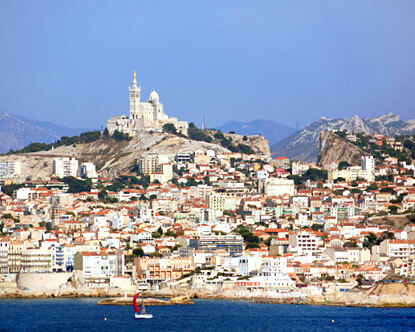 Marseille is France’s second city and economic center of the Provence-Alpes-Cote d’Azur. 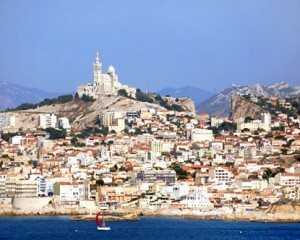 Marseille is the oldest city in France, founded about 2600 years ago by Greeks from Phocaea (Asia Minor). Major port and crossroads of the Mediterranean since that time, the city is cosmopolitan and moving. Since the beginning of the year, a stop station was set up (Vitrolles Station-Airport), a shuttle will take passengers from the terminals. This train line serves Marseille and Miramas in one direction, and Arles, Tarascon, Nimes and Montpellier in the other. At peak times may be of interest to avoid traffic jams for Marseille (around 18h). What to visit in Marseille ? Parking of Rope (435 m). 35, Boulevard de la Corderie 13007 Marseille. Parking Monthyon (604 m). Rue Breteuil 13006 Marseille. If you want to finish off if there are parking (free) at the foot of the basilica. Vieux Port ( Old Port ): this is the heart of Marseille and Marseille. The port is a huge natural harbor where the Greeks came the founding of the city, 2600 years ago, note the plate in the ground: Brotherhood of the dock. Until the early 20th century, trade was in the old harbor, along the south shore Quai de Rive Neuve remaining older docks built on the site of the royal galleys, now filled with chic restaurants instead. Do not miss the Cours Estienne d’Orves The Arcenaulx at number 25 which will tell you the history of the neighborhood. Places to oils, take the ferry boat (pronounced bohate) for the City Hall. On the north shore, Quai du Port, the old town was beginning about the location of the Greek city (see Le Panier) but the southern part of this district was destroyed during World War II (see story below below).